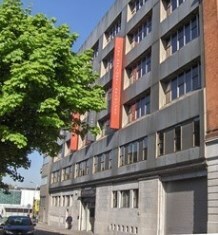 The €8million expansion of the National Archives of Ireland (NAI) is finally underway! The major revamp will see the Bishop Street site transformed into a state-of-the-art archival storage facility, capable of holding approximately four million files containing about 100 million pages. Launching the design and construction phase of the redevelopment project, Minister for the Arts, Heritage and the Gaeltacht Heather Humprheys TD said: “The Government intends to gradually move to a 20-year rule for the release of State papers. Expanding and upgrading the National Archives is essential to cope with the increased demand that will come about as a result of this change. The first phase of the works will require the decanting of over 1,900 pallets of archives from the existing warehouse building to the rear of the Bishop Street premises and its conversion into a works site for developing archival quality storage and ancillary facilities. Works are expected to commence in September 2016 and, once completed, will provide accommodation for 137,000 archival boxes.